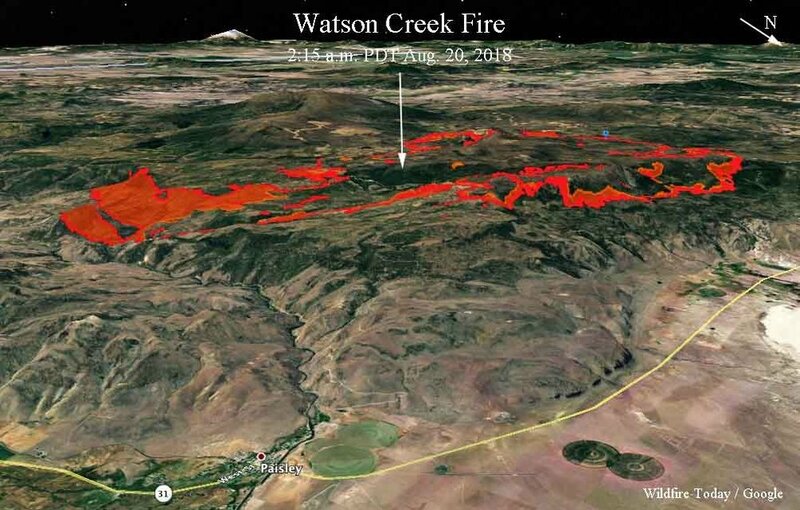 In August of 2018 the Watson Creek Fire ignited and eventually burned several thousand acres—including one of our most treasured segments of the Fremont Tier: Bear Creek and a portion of Winter Rim. Earlier in 2018 and in the spring of 2017 the Oregon Timber Trail Alliance had spent over 2,000 volunteer hours re-opening and restoring the Fremont National Recreation Trail through this area. As always, a large hot fire is a tragic and sad event. Yet this area sees a frequent cycle of fire and regeneration—it’s part of how the landscape functions and cleanses. This particular area was clogged with beetle-kill pine logs: a carpet of volatile forest fire tinder. It was a matter of time for this fire, however selfishly frustrating for those of us who like to enjoy its beauty on feet, hooves, or tires. While it will take many years to resemble its former self, its regrowth is unique and beautiful in its own right. The OTTA , partnered with the Fremont-Winema National Forest, plans on rehabilitating the 16 most severely burned miles of the Fremont National Recreation Trail between Government Harvey Pass and Chewaucan Crossing. The silver lining being that we will be able to use modern trail building techniques to minimize impacts in sensitive marsh meadows, and create a better user experience by maximizing Winter Rim’s stunning views and technical bedrock. This intensive rehabilitation will likely be a multi-year endeavor but we’re inviting you to be one of the first crews on the scene. If you’re familiar with our typical Stewardship Campout these build parties will be a bit more self-sufficient. While we’re providing coffee & beer, we’re expecting you to bring most of of your own food. And feel free to bring enough to share—we’ll have a grill station set up. NO EXPERIENCE REQUIRED - That's right, we just need a smile, a pair of gloves, and a good attitude from you. Our goals for this event will be focused primarily on re-establishing trail tread and clearing undergrowth and deadfall along the trail corridor. If you're interested in boosting your trail building skills check out our Backcountry Builder Course on April 27-28. SCHEDULE - We'll set up base camp on Thursday evening, and plan on beginning work after breakfast on Friday morning. Expect to put in a solid 8 hours of trail work each day. Sunday will be a partial day—leaving some time for a group ride after lunch. GETTING THERE - The roads to base camp will be passable by all passenger vehicles. There is NO cell reception so carry paper maps. It's about a 6 hour drive from Portland. We will be camped at Jones Crossing outside of Paisley just past Chewaucan Crossing. Driving directions are here. LOGISTICS - Although it’s mid summer, we're camping at 5,000k' and temperatures may be chilly at night. The days will be very hot with NO shade. Drink plenty of water, take breaks, and wear a wide brimmed hat and sunscreen. Since we’ll be working in a burn area we will get quite sooty and dirty. Bring extra clothes if don’t want to look like a chimney sweep each day. There is no cell service. Potable water is 5 minutes away at Chewaucan Crossing. Our partners at Base Camp Brewing and Stumptown Coffee have generously supplied us with coffee and beer. Nearest fuel and services are 15 minutes away in Paisley, Oregon. MEALS - The Oregon Timber Trail Alliance has committed to rewarding our hard working volunteers with liquid lubrication in the form of coffee in the morning and beer in the evening. We’ll have a communal grill going, but you are responsible for other meals, lunches, and water each day. YOU SHOULD BRING - Tent, sleeping bag, pad, extra toilet paper, lots of water, cooking gear, food, and a camp chair. During the work day Personal Protective Equipment (PPE) is required to work on public lands; this includes a 6-point suspension helmet (some loaners provided), eye protection, gloves, long pants, long sleeve shirt, and sturdy shoes/boots. Bring a pack, with water, snacks, mosquito repellant, and sunscreen each day as well. 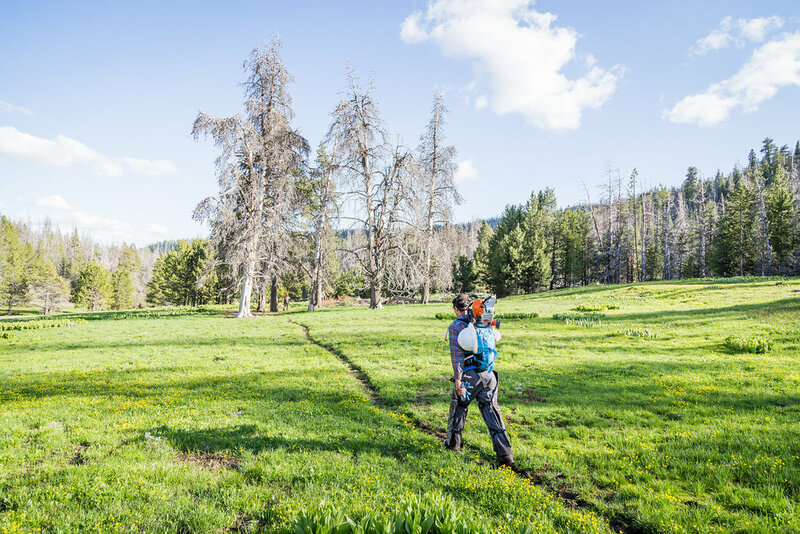 If you have a large pack or BOB trailer, consider bringing it as the trails are steep and rugged and getting tools to where they're needed will be a challenge. And don't forget your bike riding gear—we'll make sure there's some time to ride if you're not too exhausted at the end of the day. WEATHER - Night time temperatures may be chilly in the low 40s. Day temps will likely be very hot with no shade. This is going to be a fun event working, camping, and riding in the Timber Trail’s most intriguing tier. We're excited and grateful that you're spending a valuable summer weekend giving back to our public lands. On behalf of the Oregon Timber Trail Alliance and the Fremont-Winema National Forest a huge thanks goes out to everyone lending a hand at this stewardship event.